I love a massage. It is probably my favorite way to relax. I might only get one every year or two, but when I know I am going to have a massage, I plan my day around it, I long for it. I enter a room with a body that is humming with tension, and worries….. and over the course of the next hour….. I morph into something that resembles Jell-O in a skin suit. My brain is calm. Thoughts no longer flit through my mind competing for my attention. My body is calm. My muscles are smooth and relaxed. I am ready to take on the world……. or at least the rest of the day. Spending time with the Lord should be like that. I should long for it, anticipate it, plan for it. In Refresh: A Woman Who Kneels before God Can Stand Before Anyone . I was encouraged to make a time and a place to meet with my Creator each morning. Talk with Him. To search the Scriptures for His words to me. In the last few weeks I have acted on this advice, and the difference in my days is tangible. There is a calm-ness, a serenity, a focus that emanates from those quiet moments that carries me through the day. Remember the giddiness of new love? Full of hope and promise for the future? Remember standing starry-eyed at the alter, knowing how wonderful and amazing your married life will be, so sure that this feeling will last forever???? Fast forward a few years and we are neck deep in reality. Your husband left the seat up last night and you fell in, and we wont even talk about his laundry on the floor. Your toddler has an ear ache and a 101 degree fever, you have been up 6 times in the night, the baby has barfed on you three times, and today just happens to be your anniversary. You feel messy, smelly, exhausted, and as for frisky….isn’t that the name of the cat? Certainly not the way you are feeling these days. In her book Rekindle: Red Hot is So Cool. Lorrie Flem shares some very practical advice to help you work on Romance and Intimacy in your marriage. I have been working on implementing her advice on making our room a place of beauty and rest. It has been fun to work on fanning the flame in my marriage. The potter’s hands need to apply constant and steady pressure to turn a lump of clay into a beautiful vase. My home needs that same steady attention each day, without it, it easily spins out of control. I am so not organized. I look around me right now and I would call my house a pit. There is clutter on counters, hangers in the living room waiting for laundry, there is a dog kennel in the laundry room, and a pile next to the computer screen a foot high that I haven’t looked through in over a year. Gross sounding isn’t it? Having a home that is undone, is un-nerving to me. I don’t feel peaceful when my house is messy. Refine: From Homekeeping 101 to Graduating With Honors, was exactly the encouragement I needed. As I read, I didn’t feel berated or unable to measure up, instead I felt that with a few small tweaks here and there, I could indeed run a much more efficient home. I love the ocean. The sound of it soothes me. The ebb and flow of the tide, the crashing of the waves, the feel of the spray, the smell of the salt in the air. Ahhhh…. I am relaxing at the thought of it. The ocean can also be tempestuous. The waves can be sneaky and more forceful than they look. They say not to turn your back on a wave….. and the same can be said for a room full of children. There are days, when the sound of my children in the other room, laughing and playing and enjoying each other is such a joy. Then there are days when I hear yelling, hitting, back biting, arguing….. all these things I never raised them to do. I feel frustrated and confused, unsure of how to guide them back to that calm place we were at just days ago. Lorrie wrote a little book; What to Do when Abel is Raising Cain, and it contains much advice on the subject of rejuvenating the focus of your family. I was reminded that there is a difference between raising and training children. It was a review of many of the things I know I am supposed to do, but these are the very things I become relaxed in, and when I do, the tide and tempo of my home turns. I was gently reminded to be consistent with my children every moment of each day, and the reward will be a calmer, more peaceful home. Ahhhhhh……….isn’t crawling into bed after a long day, just the best feeling in the world? Looking back at all the pictures above, I feel rested. In the same way, reading these books have been like a spa day for my soul. Rest is so much more than massages, lingering warm baths, or a great night of uninterrupted sleep. True rest isn’t found until I focus on Jesus. In all the hustle and bustle of the day I can lose that focus. I need to remember to count my blessings, and use the tools that God has given me to serve Him in the midst of the strife in life. Rest: Give it Up and Get it All helped me to address the priorities my life should have vs. the ones that tend to creep up and overrun it. 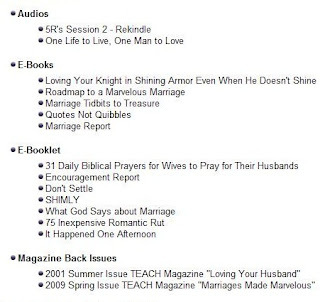 I am so grateful to Lorrie Flem and her team at Eternal Encouragement Magazine for letting me review this amazing collection they call The 5 R’s for Godly Womanhood. I truly felt God speaking to me through your words, and encouraging me to serve Him as a wife and mother each day. I hope you will take the time to visit Lorrie’s site. I am sure you will find a spa day for your own soul in the many books, CD’s and MP3’s that are available. As a part of The Gabby Mom’s program, I was given a copy of The 5R’s for Godly Womanhood free of charge for the purpose of this review. No other compensation has been received. All of the above opinions are my own. Photo Credits: 1. courtesy of clipart. 2. courtesy of clipart 3. courtesy of www.covingtonclay.com 4. personal photo. 5 courtesy of clipart. The Gabby Moms are looking for moms to join them in the next year please consider filling out their application if you are interested in reviewing products that will encourage you, and be a blessing to others. I was on the phone with a friend the other day, we were talking about those things in life you really wish they would have told you about BEFORE you were married and had children. Namely, that it is HARD WORK ! We were both nostalgic for the How-to Manual the preacher must have forgotten to hand us with the wedding ring, and the nurse must have forgotten to slip into the diaper bag when we left the hospital. She was sharing with me how she was feeling overwhelmed….defeated….. unable to keep up with her idea of perfection in her marriage, her home, and with the discipline of her kids. Her thoughts were wandering to depression, her self esteem was shaky, and she was totally giving up on discipline. She had lost her focus. It was affecting her attitude and her poor attitude was affecting her vision for the work that God had given her to do. As we talked she kept telling me that she knew that she was supposed to be thinking differently, she knew she was supposed to be acting differently, she knew that she needed to do something to change it….. she just didn’t know how. Have you ever felt that way? Yeah…. me too…. Lovingly, I told my friend that I would see if I could find some cheese to go with her whine, reminded her that our focus needs to be on Christ, and then we went on to discuss many practical ways that she could implement the how and begin to turn things around. If you have been looking for a How-to Manual for life as a wife and mother, I’ve found it. These two MP3’s, Keys to a Queenly Castle, and Attitude Adjustments, from Lorrie Flem at Eternal Encouragement, are something every breathing female from 12 – 100 needs to hear. God has given us women SOOO much to do, so much to care for and manage…. I was encouraged and challenged to be a better woman of God as I listened. Lorrie gently offers up 26 different ways to reverse those days when you wake up acting like a cross between Oscar the Grouch and Shrek in a smock, and explains over 10 ways to catch God’s vision for your work as a wife and mother and manager of your home. Each MP3 is available for download for only $6.97, or as a CD for $9.97. These are so worth listening to, I think I am going to start giving them as bridal shower gifts. I am going to be the one that gives away the Manual. The Gabby Mom’s blog is hosting a drawing to give one of these great Audios away. To enter visit http://www.thegabbymoms.com/ before midnight June 18th and follow the instructions to enter. I hope you win, and enjoy listening as much as I did. **disclaimer**as a member of the Gabby Moms I was given the above MP3’s free of charge for the purpose of this review. No other compensation has been received. Is the Cross the Attraction? Why is it we do all we do? What is our motivation? 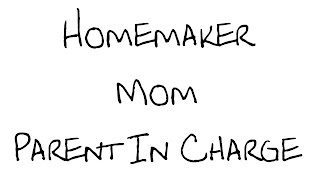 With all our many job descriptions: mommy, wife, homemaker, teacher, laundress, seamstress, and chief boo boo kisser…. our lives are busy, sometimes to the point of distraction………. Recently, I read a book about Amy Carmichael, an amazing missionary woman who ministered in India. This biography was written by Elizabeth Elliot, an equally amazing woman of God. To Amy, everything was God’s work. Changing a diaper, or sweeping a floor, preparing a meal, even laundry, was as important as leading a person to Christ. It was BECAUSE of her passion for Christ that she did the cleaning and caring. I was challenged to consider how many times I see these things as separate from God’s work…..instead of the very task He has given me? As Amy Carmichael labored, caring for the lost temple children of India, she often received letters from those who were looking to come and work with her. She was ever careful in those she chose to labor with. Her work was hard, unglamorous, full of sickness and pain. The workers needed to be carefully chosen. She wanted them to have a clear understanding of the work they would be doing. Here is a list of questions that Amy asked those applying to work with her on the mission field. It was said that Amy would sum these questions up with one statement, written to the applicant: Do not come unless you can say to your Lord and to us, The Cross is the attraction. I challenge you to answer these questions as if Christ Himself is writing to you….. as an interview to your position of motherhood. 2. Does the thought of hardness draw you or repel you? 3. Do you realize that we are a family, not an institution? Are you willing to do whatever helps most? 4. Apart from the Bible, can you name three or four books which have been of vital help to you? Apart from books, what refreshes you most when tired? 5. Have you ever learned any classical or continental language? 6. Have you ever had opportunity to prove our Lord’s promise to supply temporal as well as spiritual needs? 7. Can you mention any experience you have passed through in your Christian life which brought you into a new discovery of your union with the crucified, risen, and enthroned Lord? Do you think your answers would have won you the job? When reading this list of questions, asked of those who felt called to a life of missionary work, I was compelled to examine my own life and heart for God. I have often said that raising my children is my mission field, but really, in the middle of the everyday craziness of it, do I act like it? God has given me four precious gifts; to teach, train and admonish in His ways…. but is the cross the attraction to my work? Do I care for a sick child because I have to?… or do I care for them with Christ’s love? I was ashamed, that as I searched and examined my motives behind the countless little things that are done each day………..
Christ was not my attraction. I am prone to grumble about the dishes in the sink. I will roll my eyes and sigh loudly when my teens have walked by the laundry pile for the 7,000th time that afternoon. I whine to my husband about how I am the only one who does anything around here….. I am not as selfless as I would like to think. I needed to be reminded; unless Christ is first, I am just a selfish and bitter mom, playing the role of a martyr, complaining about the work God has given me to do. As I reflect on The Cross, I need to remember who hung there. My Savior did. Jesus, God’s son. One who didn’t deserve a death such as that. I know that is the level of sacrifice that is called for from me……….. I need to be THAT selfless, that humble. I need to let go of me, and my rights…. and let more of Jesus be seen in the way that I talk to and serve my family. I need to love my family like I love Jesus. Through the humility that was displayed on the cross, I am saved. Saved from having to whine and complain when my laundry is high and my house a mess. Saved from having to lose it when the school day doesn’t go as planned. So, I hope that you will join me, in seeking to see the everyday “mom stuff” as the work the Lord has given to you. It is likely that we will still be the only ones that do anything around here, but we can choose to do it all humbly and joyfully, because we love Christ more than anything else in this world. 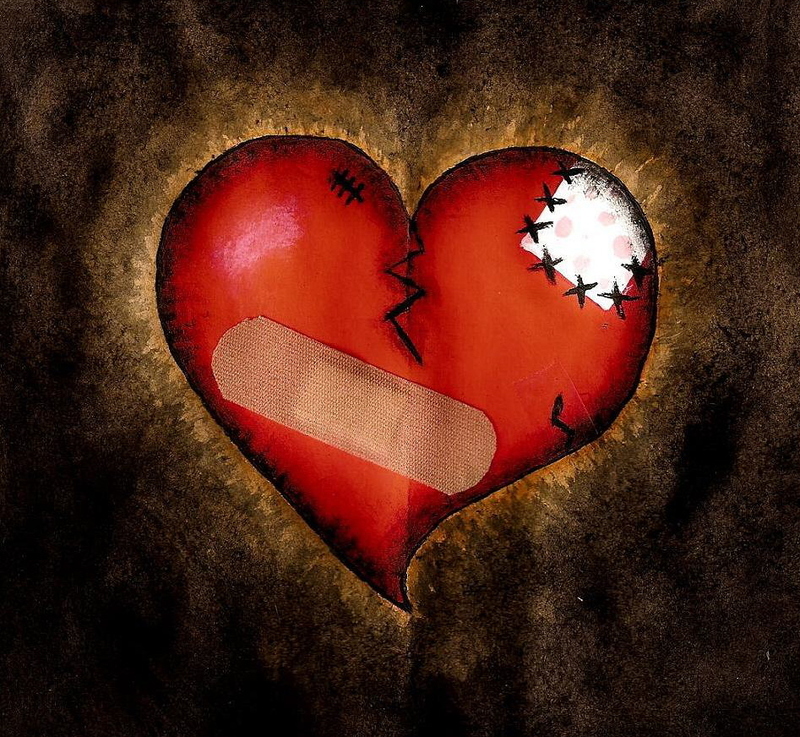 Some days…….. this marriage isn’t what I signed up for!!! Have you ever caught yourself saying that………??? don’t try to lie……. i can see it in your eyes!!!! YOU HAVE SAID IT! it’s ok… i will let you in on a little secret………. i’ve said it too…. more times than my pride will allow me to admit. and before you know it that wonderful serene vision has morphed into something much more like this ! ACK! OH! have I had days like that! The key to a great marriage is remembering WHO it should be focused on….. and that is Christ. Lorrie Flem has put together the perfect bundle of wisdom and encouragement for you. It is just what you need to get you through those crazy marriage moments that were certainly not on the disclosure form you signed at the alter…………….. oh? you didn’t get one of those either?…. haha. 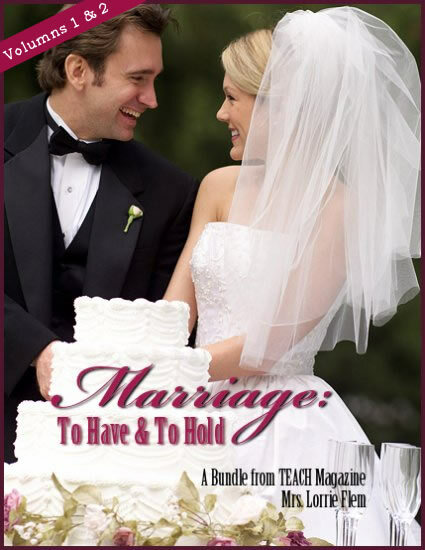 My personal favorite was the booklet the 31 ways to pray for your husband. It was wonderful. I prayed through that list for my husband and I can’t tell you how God worked in MY heart and in my marriage, just through those prayers. 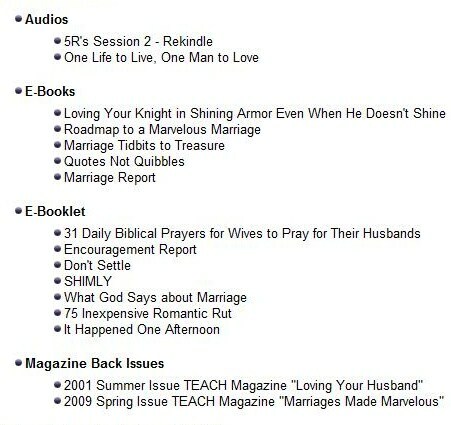 If you would like to have access to these great articles and encouraging stories, they are available from http://www.eternalencouragement.com/ . Valued at over $100.00 if purchased individually, they can be instantly downloaded for only $39.97. If you would like hard copies shipped to you the cost is only $49.97. As a member of the Gabby Moms, I was given the To Have and To Hold bundle, free of charge for the purpose of this review. No other compensation has been given. All of the above opinions are my own. I would like to introduce you to……….. It has been to church, ball games, doctor visits, the optometrist office…. I have read it while the boys played at the park and inside McDonald’s…. It is the most traveled magazine I have ever read. The content kept calling to me…….. to read, and re-read…….. absorb…….. and be refreshed. …………and in the few, slightly stolen, quiet moments I have had………. 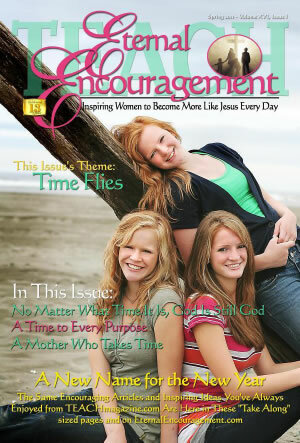 Eternal Encouragement Magazine is what I have grabbed. I was encouraged to cultivate a “Lady in Waiting”, and nurture the relationship with my daughter. Housework has gone smoother since reading ” See a Mess and Work a Lot Less”. The Article “Picket Fence Pondering” by Amy M. O’Quinn gently spoke to my heart during this time that is so busy… she said, “How many of us are guilty of letting what’s important in life slip by because we are so focused on things that don’t matter or ones we have no control over.” What a great reminder to check my priorities and make sure I am busy for the RIGHT reasons. This isn’t a shot in the dark……..? 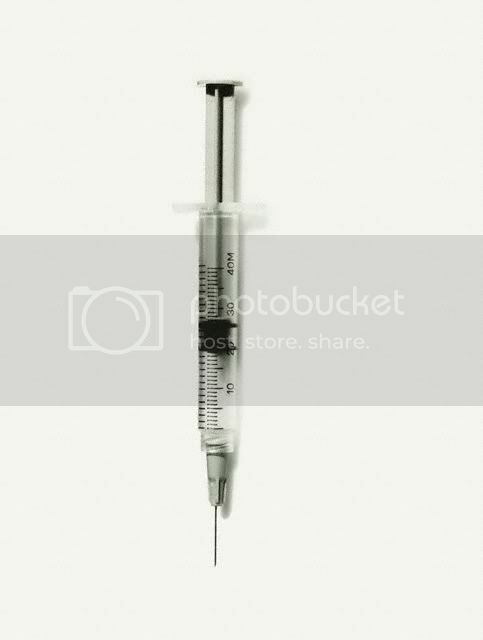 And lets be frank, is there really anything so bad that a little peace and quiet and a shot of one of these can’t fix?…. 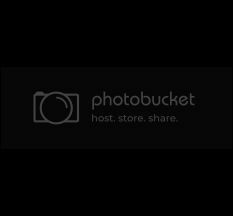 Words You Won’t Have to Eat…..
P.P.S….. all this word play with the word “shot” I now have that Bon Jovi song stuck in my head…..” Shot through the heart…… and your to blame……..” oh how I digress! Most of the month of February has been melancholy for me. My inner homemaker/Betty Crocker says why bother…. will I ever figure out this mom thing?….. isn’t parenting supposed to be a joy? Then why does it feel like such a chore? problems to solve during the day that seem to multiply like dust bunnies do….. I have been tired, overwhelmed, and some days I have just really wanted a quiet place to crawl in…. and just bask in the quiet. While I was smack in the midst of wallowing in my own private desire for solitude and peace…. I got an email from Mrs. Lori Flem. She said….”Marriage isn’t supposed to make you happy. It’s supposed to make you married.” She said, it was MY job to make my marriage happy and satisfying. I was reminded that I am to love him in spite of our differences and that avoiding a conflict doesn’t resolve it. I needed that. Oh how I needed that. You see, sometimes the hurts that happen behind the scenes, you can’t share with even your closest girlfriend. But you can share them with God. He listens. He knows. He will send you newsletters like Encouraging Moments, right to your inbox, to speak to your soul. Let’s be honest… there really probably isn’t a maybe about it… It happens to us all, we all get tired and overwhelmed. As your blog friend, I encourage you to go sign up for Lori’s Encouraging Moments. 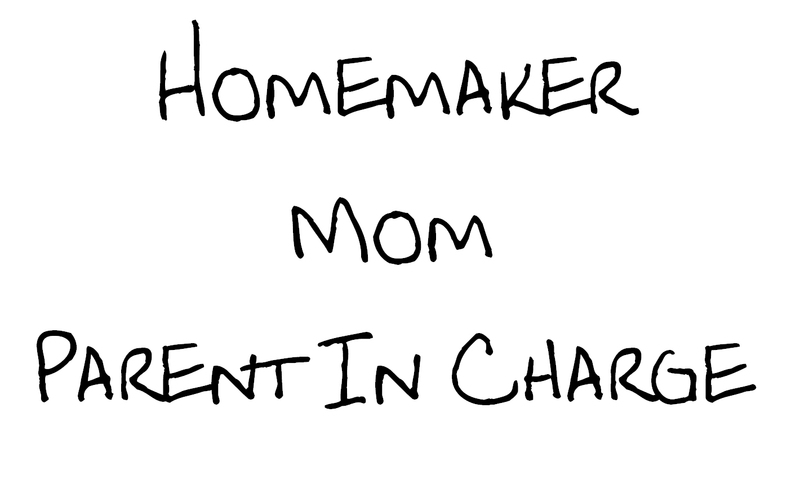 Go to http://www.homemakingwithteach.com/ , and enter your email address on the right hand side of the page. Maybe this next Thursday, God will use Lori to whisper in your ear… and remind you, just how much He loves you. Have I got a Treasure for YOU! I have barely been able to contain myself from talking about this book before it was time! I have been wandering around my house with hundreds of blog post ideas rattling around in my head… so frustrated that I couldn’t just sit down and tell you all about the wonderful book I have been reading. I have learned so much, it has been really hard not to share with you as I was learning…. The Gabby Moms, are a review team made up of moms just like me, sponsored by Eternal Encouragement (formerly TEACH Magazine ). Our goal is to share with you, products that teach, challenge, and inspire you to be a better wife and mother, and make the keeping of your home a priority. 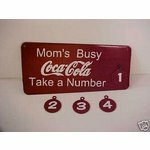 Take the time to stop by http://www.homemakingwithteach.com/ and discover the treasures it contains. Isn’t it purddy? This nugget of wonderment arrived for me just after Christmas. It brightly declared “Merry Christmas” handwritten on the outside of the package and when I opened it…. there was this book tied with a ADORABLE bow! The pretty and friendly packaging had me ready to pour a cup of tea and settle down in the recliner for an hour or ten. Do not be deceived by the pretty cover, it isn’t a book for the faint of heart. Prepare to spend an afternoon hunting for the secret video cameras they have hidden in your kitchen. You know, the ones that told them exactly the things to write, that would speak straight to your heart. This book contains 101 pages of laughter, tears, conviction, inspiration, and endless encouragement. Every single article I read, led me to examine my own heart before God, in the areas of homemaking, motherhood, parenting, and to be honest with myself about the condition of my marriage. The book is divided into 6 chapters that provide much food for thought…..
…. and this is the part I have been DYING to tell you about!!!!!!!!!!!!!!! Jewels that make the Heart Sparkle, focuses on you and your attitude, distractions, and worries as a mom, homemaker, and helper to your husband. Are you letting God mold and shape you? Do you create a peaceful home? I don’t know about you, but my home……… um…. peaceful would NOT be a word that I would use to describe it!…. It is more like one nano second from implosion! The twelve articles in this section were convicting and inspiring. Never once did I feel like I was being preached to by the authors. They were transparent, honest and real, sharing from their own personal experiences. Everything I read spoke straight to my heart, and inspired me to make my home my priority. Marriages of Solid Gold, speaks to that relationship with that guy…….. um…. you know, the one you are married to… what do they call those again…. oh yeah, a husband! You know, the one that you expect to be a grown up and just realize that you have kids to take care of, a house to clean, meals to cook…. can’t he just grow up and deal with it? Oh, you have had thought that too? Glad I am not alone….. This section addresses those very conversations we have with ourselves. It encouraged me to make my husband and his preferences a priority. There are practical ideas on how to implement a heart attitude of submission. These articles were a good swift bop on the head! Parenting Pearls: Practical and Priceless, addresses the heart with which we view our children. It even addresses the days that you would like to place them in a box and mail them to Siberia. 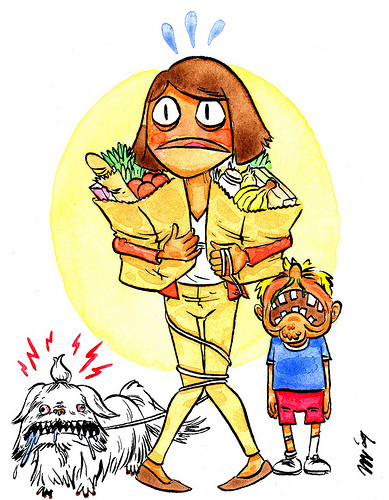 These humorous and poignant offerings, gently remind us of what a treasure our children are. It is full of encouragement to shepherd your children; to lead, and be purposeful, to positively discipline, not rashly, and reactively hand down punishment. Don’t forget to hang the Bible Verses to Pray for your Children, somewhere on your bathroom mirror…. or consider having them tattooed to the inside of your eyelids… I don’t know… but for sure, READ THEM. They are good stuff! Homemaking that Dazzles Like Diamonds: Can I just be real with you for a moment? I can? Good. I am a lousy housekeeper. There. I said it. Now you know my ugly little secret. I hope we can still be friends….. If you are like me and this is an area you struggle with, this is the section of the book you may want to start with. Camp here. Listen to the soft, kind, gentle words offered by the authors. I am thinking of making this part daily reading in my devotion time. This is an area that God has gently been pressing upon me to make some changes. If your house suffers from pile-itis like mine does or if your kids have to spend 15 minutes looking for a matching pair of socks in the sock basket like mine do; this section is for you. Homeschooling Nuggets of Wisdom: I realize not everyone ‘schools’ their children at home. If you are one of those who send your children to school outside the home, please do not think that you should skip this section, or that maybe this book isn’t for you. It still contains valuable encouragement for you. No matter the physical location of your children for the bulk of a day, as a mommy, your job still involves teaching them. You still oversee homework, projects, reading lessons, and they just grow up so fast! This section has practical tips on avoiding burn out, how to make learning fun, and taking things one day (sometimes one moment) at a time. Godly Living that Glitters, speaks to Godly principles that we should be implementing in our lives every day. How are you doing with Forgiveness and Contentment? ….Yeah, I’m not doing so well either. How about your daily conversations with God? Do you chat with Him during the day, and not just when you are tucking the kids into bed? Does your life radiate Serenity? (choke, cough, gag ) How are you doing with Anger, or Worry? If any of my aforementioned questions made you cringe ( like they did me as I typed them…) encouragement awaits you in this section. I have re-read this section several times, ….. very slowly….., because I am thick headed……it is starting to sink in. 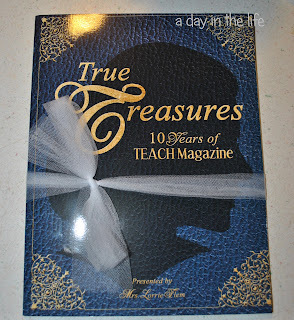 True Treasures is available for $19.97 through HomemakingWithTEACH.com. It is one of many books offered in Lorri’s Library, that are full of practical inspiration for moms. It would make a wonderful gift, for just about any mom you may know that is breathing and/or can get 50 things done before she even gets a shower. Hey, Valentines Day is coming….. maybe the hubster could get you this instead of some flowers…..
Because we are friends…. and I am nice like that, I have a coupon for you! For the purpose of this review, I received a copy of True Treasures, free of charge, from TEACH Magazine. It came as the first monthly mission for The Gabby Moms review team. Absolutely everything that I gushed about in the above review, is my honest opinion. Nobody slipped anything into my kool-aid. I promise.